Communities across Canada have been invaded by hordes of incinerator vendors and their entourages, who pitch incineration as the magic solution to waste woes to municipalities large and small from Ontario to British Columbia. They range from salesmen for foreign vendors with no history of operating incinerators (e.g. Partners Energy Group and Meaford, Ontario) to politically connected domestic vendors such as Plasco Energy, who last December managed to convince the City of Ottawa to cut a deal with them even though their demonstration plant in Ottawa (which had 25 emissions exceedances) failed to process permitted waste volumes and meet energy production claims. Multinational corporations such as Covanta Energy salivate as they realize that their plans to secure a toe-hold in Canada and to access public dollars are coming closer to fruition, with the help of industry friendly politicians like their friends on Durham and York Region councils. In Metro Vancouver, several councillors who had supported incineration were returned to office last November. The feeding frenzy has begun as incinerator vendors line up to bid on what could be the largest contract to burn garbage in Canadian history. Fraser Valley communities are prepared to do battle with Metro Vancouver to protect air quality in their sensitive air sheds. Citizens and their municipal governments must ensure they would be consulted early and often so that relevant concerns would be considered before limiting decisions would be taken. Durham residents learned hard lessons as they watched earlier council commitments to protect health evaporate as the project costs escalated. Durham councillors ensured there was plenty of money to send politicians and staff on several “fact finding” trips, pay high-priced consultants to “educate” staff and politicians, and to host lavish ground-breaking ceremonies. But, some of the same politicians and senior staff – who years before had promised “the best of the best” declined to pursue enhanced monitoring beyond the bare bones required by the Ministry of the Environment, which in turn did not require monitoring to be as stringent as they themselves recommend in their own A-7 Guidelines. Citizens in the Lower Mainland should beware of similar political promises going up in smoke. Durham Region will use ALL of the federal gas tax dollars accumulated to date and future gas tax funds to pay for their incinerator, instead of this funding being directed to “environmentally sustainable” projects such as improving regional transit or other municipal infrastructure. Thus, anyone who buys gas in Canada is helping to pay for the Durham-York incinerator. This gas tax shell game allows staff and politicians to claim property tax dollars will not be used for the incinerator. However, property tax dollars will be needed to fund projects to which gas tax funds could have been applied. Another subsidy to the incinerator industry comes in the form of Power Purchase Agreements, which pay incinerator proponents above market prices for any power produced. Durham-York Regions would be paid 8 cents per kWh –a significant subsidy. Ontario’s Energy Minister, Chris Bentley, recently opined that diversifying Ontario’s energy mix something his government was looking at. Ontarians are hoping he is not talking about trash as may be signaling an unwelcome change in Ontario’s FIT policies. “Energy-from-waste” (EFW) was not defined as renewable energy when Ontario brought in the “Feed-in-Tariff” (FIT) in 2009 to support the renewable energy industry to diversify the energy mix and so that polluting coal-fired power plants could be phased out by 2014.A number of states in the U.S. have made EFW eligible for such subsidies. With the two year review consultation completed, it emerged that various organizations including the Association of Municipalities of Ontario (AMO) support making EFW eligible for FIT. Both Prevent Cancer Now (PCN) and the Ontario Zero Waste Coalition (OZWC) are strongly opposed to a possible revision to FIT to include EFW and sent letters to Minister Bentley this past week. OZWC has also organized a media conference at Ontario’s Provincial Parliament (Queen’s Park) media center for Tuesday January 24th with renowned incinerator opponent and Zero Waste advocate Dr. Paul Connett the main speaker. Also speaking will be PCN Board member Margaret (Meg) Sears, MEng, PhD, a health researcher studying the environmental determinants of health. Incineration is the most polluting and risky waste disposal option, IF the technology works. There is also the matter of dangerous incinerator process residues that can range up to one third by mass of incinerated waste. For mass-burn, fly ash is hazardous waste and bottom ash is laced with toxic residues. Air pollution is a public health crisis that should compel all governments to take all steps to move away from incineration rather than subsidize polluting, inefficient incinerators that destroy resources we should be conserving. As well as concerns about avoidable exposure to hundreds of pollutants including carcinogens, subsidies for incineration – green-washed as “energy-from-waste” – will serve to distort the market, displace truly “green and clean” forms of energy such as wind and solar, stunt local job creation and reward a dirty industry that mostly exports their profit. We urge Canadians to become aware of how waste is handled in their community and how incineration impacts public health, the natural environment, energy, efforts to address climate change and taxation/public spending at all levels of government. Please review our incineration “tool kit”. Take action and let your political representatives know that you support sustainable materials management policies and oppose incineration of municipal and industrial/commercial and institutional (ICI) solid waste. 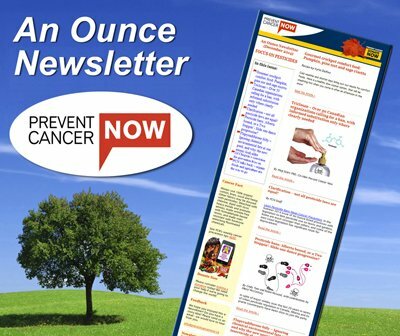 To read more updates and articles from Linda Gasser and for information on Prevent Cancer Now’s incineration campaign, visit here. 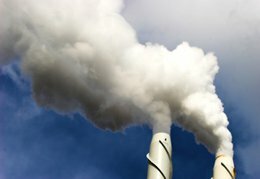 American Lung Association News Release (Nov. 2011)- Advocates Urge New York State Public Service Commission to Reject Covanta’s petition Seeking Clean Energy Funding for Dirty Garbage Incinerators. Burning Public Money for Dirty Energy (Nov. 2011) – Misdirected Subsidies for WTE Incinerators. See Appendix A: List of pollutants emitted by incinerators. Waste to Energy: Dirtying Maryland’s Air by Seeking Quick Fix on Renewable Energy (Oct. 2011). More Jobs, Less Pollution (Nov. 2011) –Describes how a Zero Waste strategy that reduces waste generation and maximizes diversion builds a green economy and create jobs while reducing pollution.